EcoSemitek offers an extensive range of FRDs from 400 to 1200V in both isolated and non-isolated housings. EcoSemitek's Ultra-FRD technology is ideally suited for applications requiring ultra-fast switching and soft recovery for low EMI/RFI. 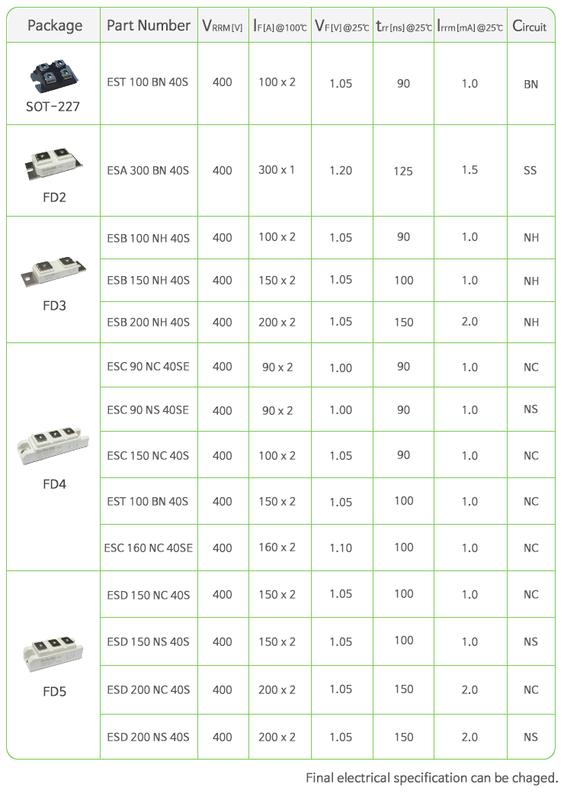 The Ultra-FRD range is particularly appreciated in high-speed switching applications such as PWM or resonance converters for welding, solar power inverter, and switch-mode power supplies.